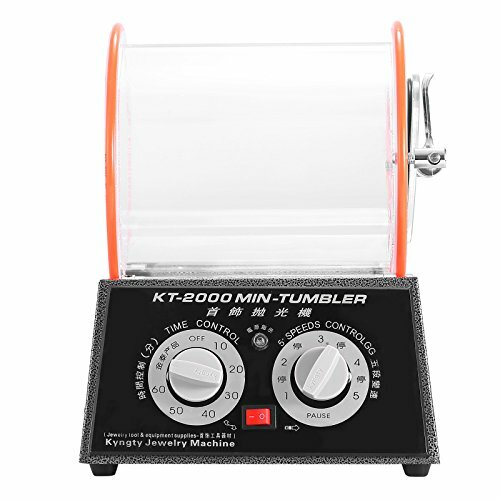 This rotary tumbler is quite simple to operate and gives excellent finish to materials such as rocks, stones, coins, clean cartridges, polish brass and other metals. It has a clear barrel with a locking bar closure. It is excellent for studio and small jewelry projects. Gold and silver jewelry polishing best equipment. Can make jewelry to be completely new. 5 speeds & timer from 10-60 minute.